May 2, 2016: Fixing flooded yards, easy cleaning tips, adding outdoor lighting, get the look of wood without the maintenance, fence-building tips, and how to know if a home is worth fixing. May 9, 2016: Keep furnishings from sun fade, fixing smelly water, get your grill ready, drought-resistant lawns, quietest air conditioning in America, and basement remodeling tips. May 16, 2016: Fixing stuck windows, replacing your fence, tips on color choices, bath updates to cut water costs, and the best home improvement projects for house value. 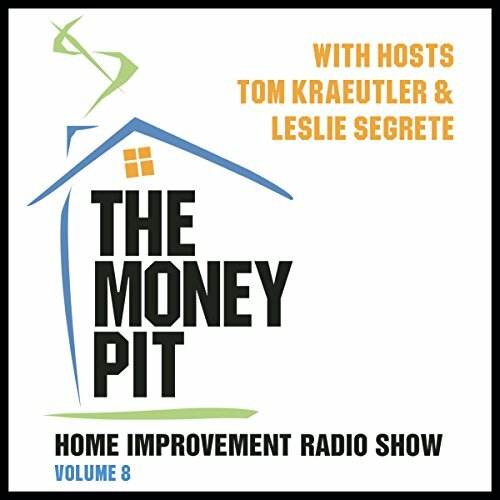 May 23, 2016: Protect your home from storm damage, tips on trouble-free plants, and how to contract with your contractor, building blocks for backyard projects, easy appliance cleaning ideas, and how to spot termites before they dine on your house. May 30, 2016: Tips for deck and fence stains, backyard beehives, screening porches and patios, finding hidden storage spaces, fresh filtered water from your fridge, and stopping mold, mildew, algae, and moss. June 6, 2016: Dress up a boring garage door, installing a pet door, mold and mildew removal tips, father's day top gift ideas, picking the perfect mattress, and keeping away dangerous radon gas. June 13, 2016: Cutting pool-heating costs, building a pollinator garden, prevent slippery sidewalks, how to stage your home for a fast sale, the next generation of smart home products, and ideas for kitchen counter makeovers. View More In Budgeting & Money Management. Rich Dad Poor Dad: What the Rich Teach Their Kids About Money - That the Poor and the Middle Class Do Not!